In response to the popularity of production racing in the Trans Am series, organizers have announced several changes to the related class structures to provide more refined competition for participants. Beginning this season, TA3 American Muscle and International Groups will be replaced with TA3, TA4 and TA5. TA3 will essentially replace the International Group and will include (but is not restricted to) the Aston Martin GT4, BMW M3/E46/E36, Chevrolet Corvettes, and Dodge Vipers. Porsches will be excluded from this class for reasons outlined below. Meanwhile, the TA4 class will function in an identical capacity to that of the former TA3 American Muscle Group, providing a production class for competition between the Dodge Challenger, Ford Mustang and Chevrolet Camaro. Finally, the Trans Am Series has added the TA5 class to accommodate the ever-increasing interest from the Porsche community. The class will also run Hoosier Racing Tire slicks rather than the DOT tires that the TA3 class cars will continue to run. Eligible TA5 cars include 2006-2011 Ferrari 430 Challenge, 1998-2005 Porsche 996 GT3 Cup, 2006-2009 Porsche 997.1 GT3 Cup, 2010-2014 Porsche 997.2 GT3 Cup, 2014-current Porsche 991 GT3 Cup, 2005-current Porsche Cayman X51, and the 2016-current Porsche Cayman GT4 Clubsport. Additional cars may be considered for inclusion in the TA5 class based on equivalent performance potential. Full details of the new class structures can be found in the 2016 Trans Am Rulebook. 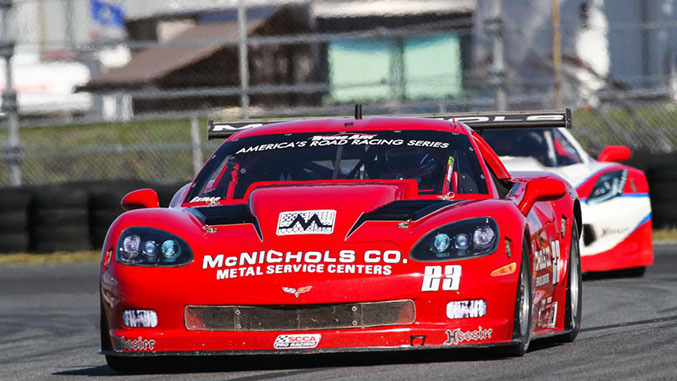 The 2016 Trans Am race season – which marks the 50th anniversary of the series – will begin on Sunday, March 6th, at Sebring International Raceway. You can find the full season schedule here.